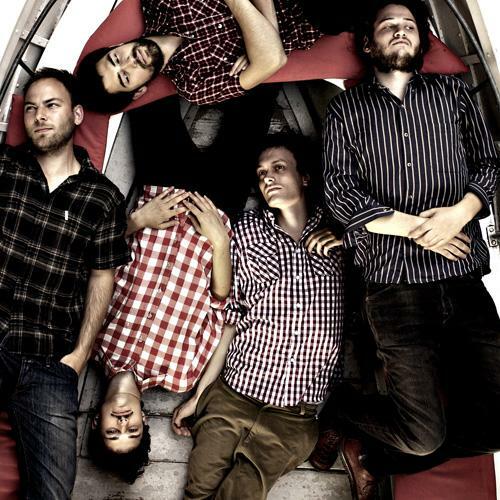 Formed in 2000 in Copenhagen, indie rock band Efterklang consists of four core members: Mads Brauer, Casper Clausen, Thomas Husmer and Rasmus Stolberg. The original lineup also included Rune Mølgaard, but he has taken a more secluded role since 2007. When performing live, the four-piece band is regularly complemented by three or more members for live gigs. Efterklang’s third full-length album Magic Chairs finds the band expanding on their already expansive sound, while diving into the core of their ever evolving music. The first single, “Modern Drift”, is available as a free download and the album will be released on 22nd February 2010 courtesy of British label 4AD, home to bands such as Bon Iver, TV on the Radio or St Vincent.